The number of job openings fell to 6.9 million on the last business day of November, the U.S. Bureau of Labor Statistics reported today. Over the month, hires edged down to 5.7 million, quits edged down to 3.4 million, and total separations were little changed at 5.5 million. Within separations, the quits rate and the layoffs and discharges rate were unchanged at 2.3 percent and 1.2 percent, respectively. This release includes estimates of the number and rate of job openings, hires, and separations for the nonfarm sector by industry and by four geographic regions. 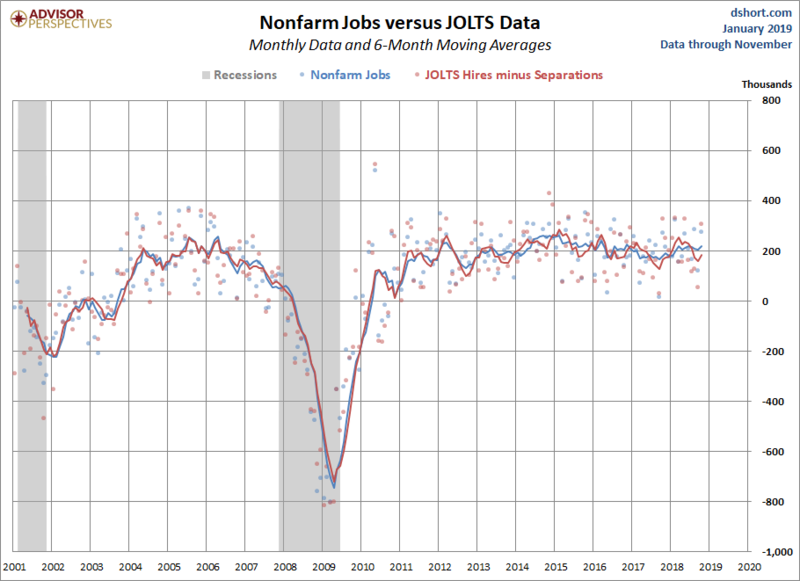 The chart below shows the monthly data points four of the JOLTS series. They are quite volatile, hence the inclusion of six-month moving averages to help identify the trends. 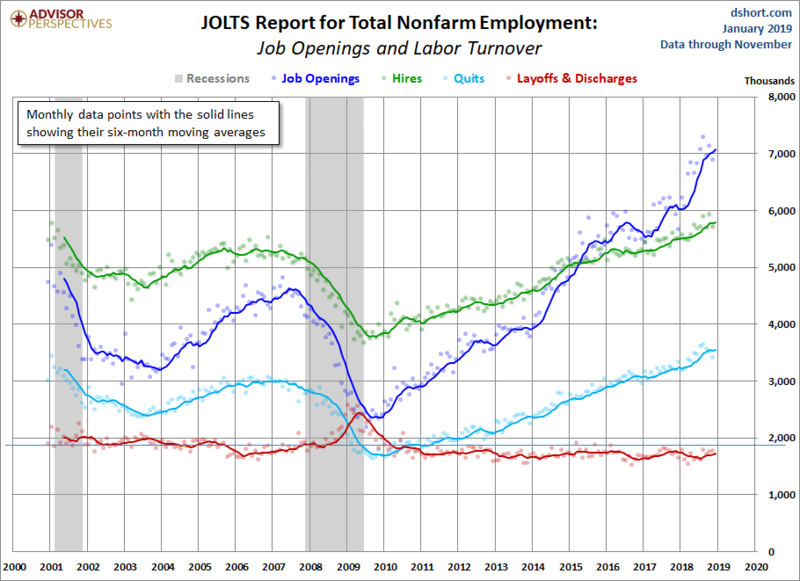 For the three years, the moving average for openings has been above the hires levels as seen in the chart below.